OMG FTS! Knockout Circuz announces World Exclusive headline act! ‹ ALIVE AT NIGHT – Hard Dance Interviews, news & reviews with a twist! OMG FTS! Knockout Circuz announces World Exclusive headline act! Knockout Circuz returns to Sydney on Saturday 16th December for an epic final show. With almost all acts on the line up having been announced a few months ago the hype was building up, with one big question still on everyone’s lips – who could possibly be the headline artist, only billed as… “The Resurrected”…? 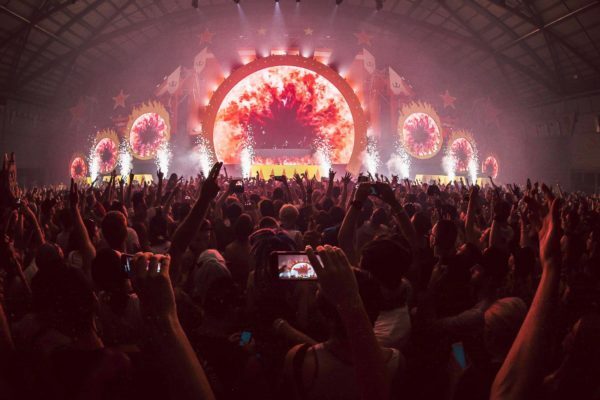 All has finally been revealed and the Australian rave scene is rejoicing tonight! The name of the act was not even needed in the announcement, just a 17 second video clip with an infamous sound bite and the #FTS hashtag did all the talking. After this duo’s brief appearance at Defqon.1 in The Netherlands, rumours were flying that maybe, just maybe, HSU Events could persuade the artists to take to the decks one more time for their Australian fans. Of course if you’re not in Australia….. well I was feeling sorry for you anyway, it’s summer over here you know! With a 75 minute full Hardstyle set confirmed, featuring not just classics but new music too, this is indeed the ultimate resurrection in Hardstyle history. If you’re very quick you might just still score a ticket for Knockout Circuz – The Final Show, the last event in the magnificent Knockout Circuz series. Final tickets are now on sale at the links below.